Our first Shake Shack in Kyoto! Located in the Shijo-Karasuma neighborhood, this shack features a Kyoto-only premium Uji Matcha Shake and matcha chocolate Kyoto Cookie Crete. 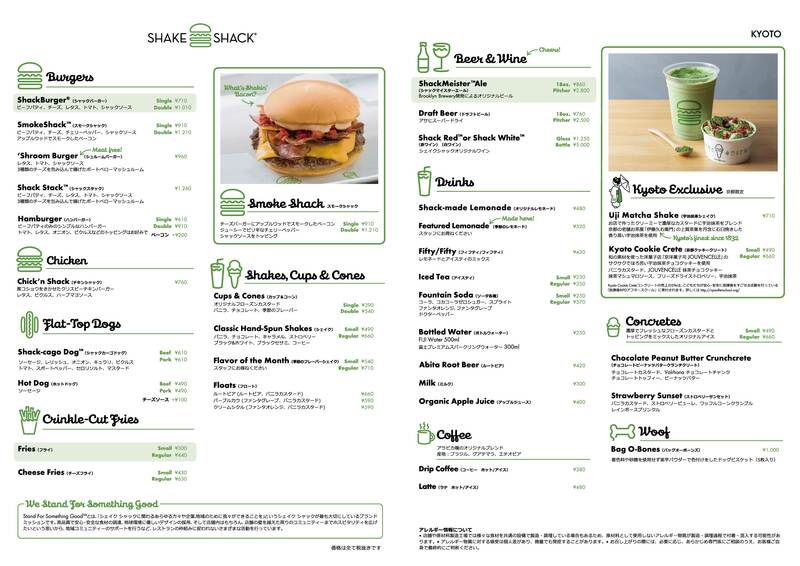 Of course, the burgers, fries, and shakes are the same great lineup you will find in all Japan shacks.